- A great value. Print more images and photos in crisp, vivid color. HP Vivera inks offer outstanding fade resistance, superior reliability and HP performance. 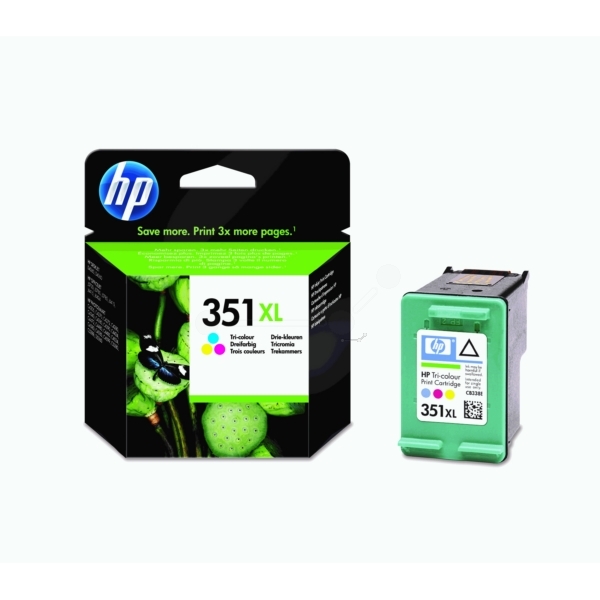 - For high volume printing, choose the HP 351XL Tri-colour Inkjet Print Cartridge with Vivera Inks. Make a smart choice to meet your individual printing and budget needs with Original HP Supplies. Get HP reliability at low running costs. - You're in control; you need a hassle-free cartridge that prints with outstanding performance whenever you need it. HP 351XL Tri-colour Inkjet Print Cartridge with Vivera Ink is the right solution for consumers and professionals who think ahead. - Count on Original HP inkjet print cartridges for a reliable and simple to install printing experience with state-of-the-art recycling facilities.